FSV Mainz 05 vs Wolfsburg predictions for the mid-week German Bundesliga. Wolfsburg and Mainz both look to bounce back from their first defeats of the season at the Opel Arena on Wednesday. Read on for our free betting tips and match preview. Wolfsburg have been one of the surprise packages of the 18/19 Bundesliga campaign so far, taking seven points from their opening four games against runners up Schalke 04 (a 2-1 home win), top six finishers Bayer Leverkusen (a 3-1 away win), and the in-form Hertha Berlin (a 2-2 draw) – not bad for a team who maintained their top flight status last term by surviving the relegation play-off for a second consecutive time. Coach Bruno Labbadia is unlikely to mix too much up following the blip that was Saturday’s 3-1 defeat at home to Freiburg and midfielder Admir Mehmedi should continue in attacking midfield after scoring goals in each of their last two matches. And with Dutch signing Wout Weghorst (27 goals in all competitions for AZ last term) already getting a maiden Bundesliga goal under his belt, the Wolfsburg’s boss is not lacking attacking options. Mainz 05 are another team doing better than you’d have thought and they’ve almost mirrored Wolfsburg’s form match-for-match. After their first league defeat of the season last weekend – same as the visitors – the 05ers stand on seven points and behind Wolfsburg on goals scored alone. However, unlike Wolfsburg, we’d say that the 05ers have done very well to end up where they are at this stage of the 18/19 campaign. Mainz just about snuck the three points against Stuttgart on the opening day, managing just 8 shots on goal in that match, and did even worse in the follow up, tallying just 6 shots on goal in their 1-1 draw away to the newly promoted Nurnberg. After four matches, Mainz aren’t doing much better, ranked 13th overall in that regard. Have the 05ers riden a wave of form that can’t be maintained? So where does that leave us ahead of this game? Well, after looking over everything, the value looks to be in Wolfsburg for Wednesday. Mainz were one of the weaker sides overall in the Bundesliga last season – not much has changed in that respect over the summer – and even though they were stronger at home, they still lost in 41% of their Opel Arena outings (W7 D3 L7). A response to that could be that Mainz have won in 4 of their last 5 Bundesliga outings at home (W4 L1), including both of those in the 18/19 season, but the quality of the opposition beaten doesn’t make this particularly outstanding. And when you look at overall form for the season, the teams that Wolfsburg have faced (Schalke, Leverkusen, Hertha, Freiburg) compared to Mainz (Stuttgart, Nurnberg, Augsburg and Leverkusen) are much stronger and so their recent form (W6 D1 L1) is consequently more impressive. Wolfsburg are displaying all the signs of a team ready to get back to their best and what’s worse for Mainz is that they have a pretty poor track record against them – Mainz have won in just 4 of their 16 meetings at home to the Wolves (W4 D7 L5). 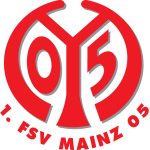 Mainz’s weakness this season has been a lack of a goalscorer and their weak offensive record – just 4 goals scored – will obviously bring down their results in time. With three of Mainz’s four goals this season having come from substitutes, it says something about the quality that they have available to field in the first place, and the lack of experience in their squad – Mainz sent out their youngest ever team against Augsburg – could see them struggle against a Wolfsburg side brimming with it. It’s hard to look past the side in scoring form, playing much more attractive football that rank 5th overall in the shots on goal charts. Our prediction: 2-1 Wolfsburg. Wolfsburg have lost just one of their last eight competitive outings (W6 D1 L1). Wolfsburg have scored two goals or more in four of their last five Bundesliga games (W3 D1 L1). Mainz have one of the strongest defensive records in the Bundesliga after four matches (3 goals conceded). Mainz also have one of the weakest offensive records in the Bundesliga after four matches (4 goals scored).